Eurasiancenter.ru published the article of Ara Abrahamyan. Armenia is on the threshold of change, systemic reforms in Armenia’s economy as an indispensable condition for the optimization of public administration. 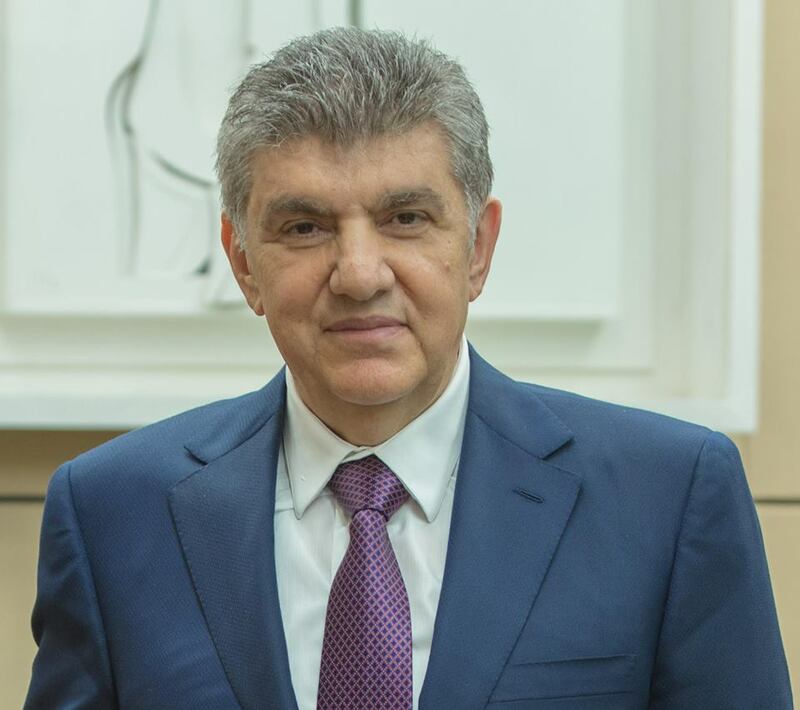 The article by President of the Union of Armenians of Russia and organizer of the First International Forum of Eurasian Partnership Ara Abrhamyan (fragmentary). On the eve of the First International Forum of Eurasian Partnership, it is necessary to present a number of provisions related to the content and organization of the event, as well as Armenia’s economic development. I have spoken about the organization and conducting of this forum many times. The idea is associated with the formation of the Eurasian Economic Union (EEU), as well as with the development of interrelated, multi-level, large-scale economic cooperation throughout the globe’s largest continent. This is particularly concerned with China’s “New Silk Road” mega-project, the economic revival of Iran, long-term economic development of India and transforming the South Caucasus into a major geo-economic regional lynchpin and major energy and transport crossroads. The formation of the Eurasian Economic Union can be considered as the institutionalization of the integration processes in the post-Soviet space with the key participation of Russia . We share common historical and cultural background, all the components of our industrial economy (transport, energy, industrial, scientific, etc. )were formed on the basis of the Soviet system. Besides, we are united by the Russian language etc. In the modern world it is impossible to rely on economic development without international economic cooperation. The potential and the huge possibilities of the Russian economy, its natural raw resources, the emerging market, and the investment prospects as compared to the national economies of the other countries of the Eurasian Economic Union, indicate the need for closer integration. Of course, the economic sanctions of Western countries against Russia could not but affect the initial capacity of the newly-formed Eurasian Economic Union and also created certain obstacles, thus affecting the trade and economic relations with Armenia. Along with the reduction of the number of migrant workers, the Armenian transfers were reduced as well, because there are mutual settlements associated with sustainable or national currencies. The discussions concerning the tariffs of energy (mainly natural gas) imported from Russia are under way. Besides, the number of investment projects has decreased. However, at the same time, the sanctions against Russia and the Russian-Turkish crisis known as “seasonal conflict”, in some way stimulated the development of commercial cooperation opportunities between the countries of the Eurasian Economic Union, including Armenia and Russia and opened a route for exporting the goods from Armenia, Kazakhstan, Belarus, and Kyrgyzstan to the Russian market. In the spring of 2016, Russia made an attempt to lower the rates of gas for Armenia from 189 to 150 dollars, but due to the supply of the gas via Georgia and the complicated tariff system of the Armenian energy companies, the tariffs for consumers, i.e. the citizens of the Republic of Armenia remained almost unchanged. It is obvious that for this reason, the new government, represented by Prime Minister Karen Karapetyan suggests optimization of energy prices, reducing them for socially vulnerable citizens at the expense of other economic entities, rather than at the expense of the budget. In other words, the reduction of gas and electricity tariffs for the needy citizens will take place at the expense of other consumers (large businesses), which should secure a stimulating effect on the monopolies thus forcing them to optimize prices and profits. Our forum is supposed to provide an effective international platform within the context of Eurasian broad integration and will bring together business representatives , including represenatives from the business circles of the Armenian Diaspora, from governments of the interested countries, scientists, researchers, industrial and mobile new technology designers. They will discuss issues related to the Eurasian Economic Union and the Eurasian Economic Development, including integration and cooperation issues, state, regional and continental investment projects, institutional partnership projects, specification and calculation of national economies, their branding opportunities and others. The fact that our forum is held in Yerevan, in my opinion, is a great achievement in the history of young democratic Armenia on the occasion of 25th anniversary of the country’s independence, as well as in the formation of the Eurasian Economic Union. We are moving in the right direction, and the further success of the economic integration requires providing a platform for effective communication of its builders. For a number of objective and subjective reasons, Armenia’s economy is currently in a critical condition and its further deterioration could jeopardize the country’s sovereignty. Naturally, the Armenian world should support the country and its new government, thus ensuring economic rehabilitation, stability, development and making radical changes aimed at further progress of Armenia. One of the main goals of the upcoming forum is to raise Armenia’s ranking and image, which will help attract foreign investors and, in my opinion, our first investors will be the representatives of the Armenian Diaspora. Under conditions of the political crisis, when Armenia is in conflicting relations with Turkey and Azerbaijan, with the transport blockade and the permanent threat of hostile actions in Nagorno-Karabakh, the foreign investors, unfortunately, are not very active. Together with the government, we should create favorable conditions for the investors so that they believe in the success of their investments. The Government of Armenia currently announces statements with regard to the inadequacy of regular inspections of small and medium businesses by supervisory bodies, insisting that they should only be held on an as needed basis. In my view, it is important to make the proposal on reduction of tax audits complete by a realistic decision on the promotion of the development of these businesses by providing them optimal state loans. It is necessary to work out a plan on this issue with the contributive involvement of the Diaspora. The disproportional development of the region affects both small and large countries. If а country has an external conflict, the state must implement an effective foreign policy for regional development in order to reduce migration. It is also necessary to make the bordering regions economically profitable and interesting places for the population, as well as have a clear and realistic plan for economic development of the territories. Today’s Armenia is a small country, both in territory and population. Most Armenians live abroad. It is very important to work out economic and political mechanisms that will enable the Diaspora to penetrate with responsibility into the economic, political and social life of their historical Motherland. In many cases, the efficiency of public administration depends on the business efficiency. These efficiency indicators include the size of the investments, new jobs, the number of taxes, growth of economic indicators and GDP , reduction of unemployment and poverty, the increase of social programs and so on. In this system of relationship, the government can and must reduce the expenses of its own apparatus. It should reduce the number of assistants and advisors and it should focus the attention and efforts on the development of business, as well as promote the development of domestic and foreign investments. It is high time to forget the mutual recriminations and unite for the sake of the structural changes in the economy, development of Armenia and the Armenian people. The Armenian Diaspora has a special place in this process, as the Diaspora is the main and the most reliable ally of Armenia. We are a part of, and pieces of the ancient and creative civilization, which is named Armenian.